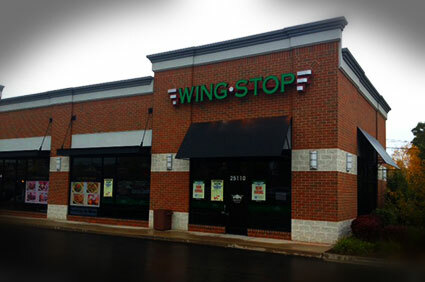 Wingstop, a Dallas-based national chain, has chosen Southfield as the perfect setting for its first Michigan location. The new restaurant, located at 25110 Evergreen just north of the Lodge freeway, is slated to open in the last week of October. Restaurant general manager Dionna Metzler notes that Southfield offers a great diverse community. “There’s a really good mix of everything,” she said. Wingstop is not a traditional chicken wing restaurant. Food is made fresh and cooked-to-order, with a menu that features classic wings, boneless wings, chicken strips and Glider sandwiches, all sauced and tossed in 10 original flavors — customer favorites include Lemon Pepper, Original Hot and Garlic Parmesan. Wingstop’s homemade side dishes include seasoned fries, cut fresh daily from Idaho potatoes, baked beans and potato salad. Wingstop welcomes the lunch rush, featuring a full dining room and carryout services. A “fast casual” restaurant experience, guests can enjoy watching a wide variety of sports while dining or picking up an order. Beer and wine is available, and Wingstop also features a Coca-Cola® Freestyle machine – a state-of-the-art touchscreen soft drink dispenser allowing customers to mix over one hundred flavors. Metzler and her team are looking forward to surprising local businesses with food drops. “This will be the first of many Wingstop locations opening in the state of Michigan,” she noted. To view the full Wingstop menu, visit www.wingstop.com.